24081 approaches Hailes on the Gloucestershire Warwickshire Railway with the 09:55 Winchcombe to Toddington freight on 24 September 2005, during the line's Diesel Gala. Crisp autumnal lighting with the sun just glancing across the front end make ideal photographic conditions. 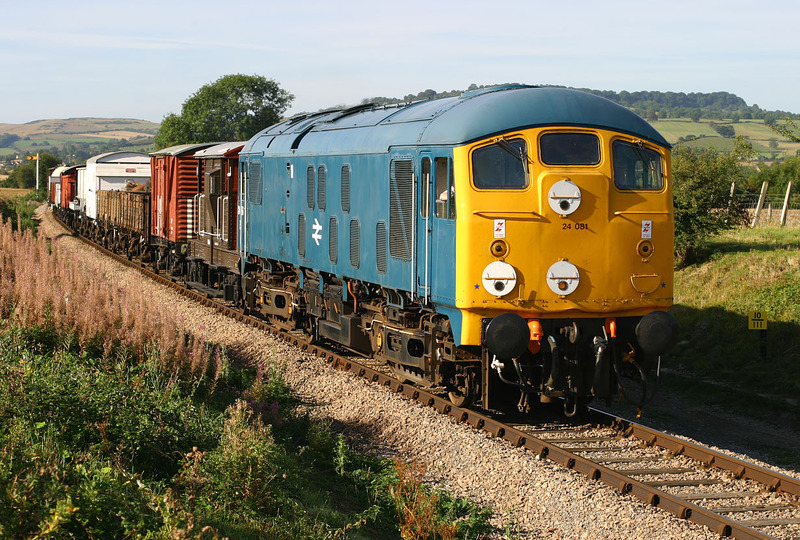 The Gloucestershire Warwickshire Railway seems to be very lucky with the weather for its diesel galas, and the combination of a varied fleet of locomotives plus numerous photographic vantage points makes it always worth a visit.